Growing up, I knew Mary Kay Ash as "grandmother," not as Mary Kay Ash the businesswoman and philanthropist. I remember all the special family moments we shared together. She made such an effort to just to be our grandmother and believed in God first, family second, career third - she really lived her life that way. Today, I'm so excited to be a part of my great grandmother's continuing legacy as a board member of The Mary Kay Foundation. 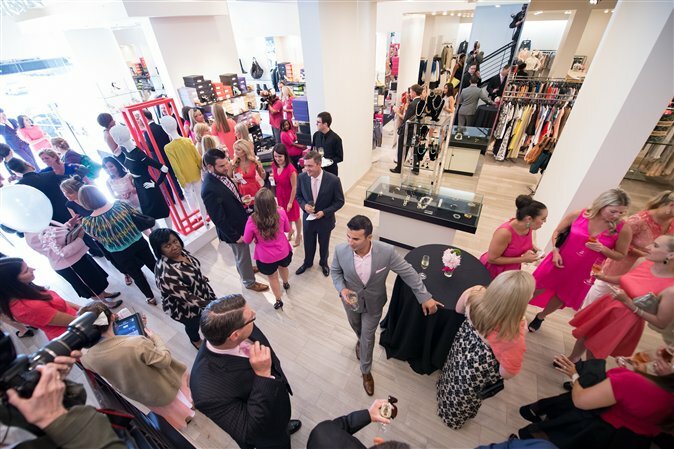 Last week, The Foundation kicked off its 6th Annual Suits for Shelters initiative at a "Think Pink" launch party and fashion show at Tootsies boutique in Dallas to collect business clothing for domestic violence survivors. Once again, I was inspired by how her commitment to help women lives on! It was refreshing to see the volunteers and leaders of multiple domestic violence organizations unite and celebrate the good work they are doing together. There is such a collaborative support community here in Dallas and the strength of these relationships spans across the country reaching our common goal of ending domestic violence. Survivors of abuse are in desperate need of business clothing for job interviews or work because they typically leave with nothing but the clothes on their backs. Essentially, they are starting from scratch. That's where Suits for Shelters comes in, helping survivors build confidence, gain employment, achieve financial independence and feel empowered. We all know how great it feels to put on an outfit that makes us feel confident. Overcoming low self-esteem and depression is something domestic violence survivors battle every day, and a "new" outfit can give them a little boost, just when they need it most. 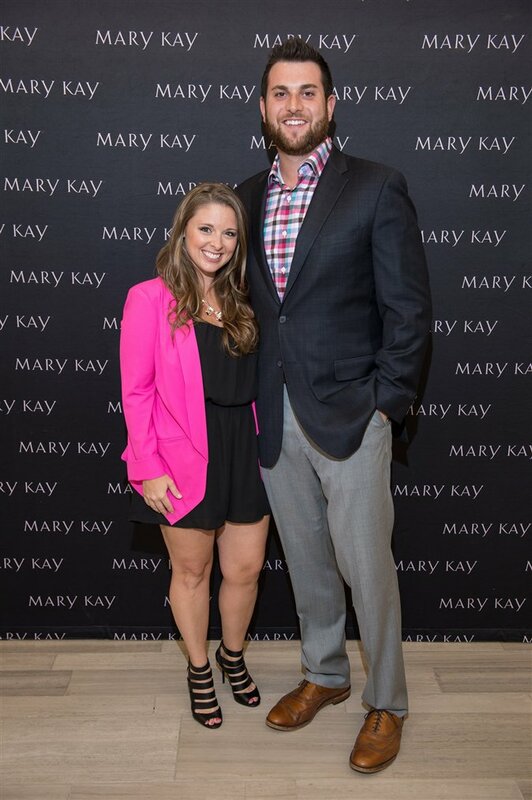 I'm so proud that The Mary Kay Foundation is continuing my great grandmother's legacy to end the cycle of abuse. Through initiatives like Suits for Shelters, Nature Explore Classrooms and the $34 million donated directly to U.S. domestic violence shelters, we can make a difference. How you can help: If you live in, or are visiting Dallas, donate gently worn suits, shoes and accessories to Tootsies from now through and August 4 to support The Mary Kay Foundation's Suits for Shelters program. Today's blog post is from Mary Kay Ash's great granddaughter, Jessica Bair. Jessica is a board member for The Mary Kay Foundation, and is committed to carrying on her great grandmother's legacy of enriching women's lives through the prevention of domestic violence.